A common question we hear from our patients who are getting crowns and bridgework is “How long will it last?” They want to know what they can expect in terms of the longevity of their treatment; i.e, how much time will pass before they might need to replace something. The materials that are being used today by dental laboratories to make crowns, have enabled us to give our patients restorations that are not only attractive, but durable and less likely to chip or crack in the mouth. 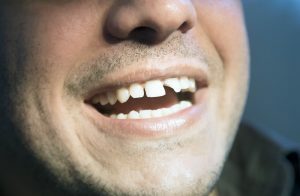 And if patients grind or clench their teeth at night, we can make a nightguard to protect their natural teeth as well as any crowns they might have. But crowns can still fail, which is why it is important to maintain good hygiene to prevent decay from forming around the margins of your new crowns and bridges. The margin is the area where the crown meets the natural tooth structure. It is an area where food and plaque can build up and possibly cause tooth decay. What can you do to help protect your investment? Brush and floss regularly using a soft toothbrush to avoid pushing on the gum too hard. Brushing too aggressively or brushing with a hard bristle toothbrush can result in gum recession, root exposure and exposure of the crown margin. The root of the tooth is a softer, weaker part of the tooth than the enamel and is more susceptible to decay. We want to keep the roots covered with gum and also keep the crown margin covered with gum so that those areas stay protected. Make sure that you don’t skip flossing. Dental floss is the only thing that goes between the contacts between your teeth and that goes under the gum to remove food debris and plaque. It is the combination of brushing and flossing that most effectively removes food and plaque, thereby helping to prevent tooth decay and gingivitis. Make sure to keep your mouth hydrated. A good salivary flow will keep your mouth at the proper ph and will serve as a buffer against tooth decay. If you have dry mouth or are on a lot of medications that cause dry mouth or if you have acid reflux, it may be necessary to use a prescription toothpaste with extra Fluoride to help protect your teeth and protect the margins around your crowns from decay. Consider adding a mouthrinse to your daily hygiene regimen. Mouthrinses are made with ingredients that not only kill germs and freshen your breath, but also prevent and reduce plaque and prevent cavities while strengthening your teeth. Ask us which products we recommend to help prolong the lifespan of your restorations and crowns.